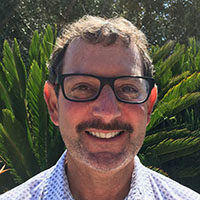 Brian Friedkin is a passionate software engineer focused on building high quality client-side and embedded software that stands the test of time. He is particularly excited about portable software architectures that can scale to serve the needs of hobbyists up to commercial developers. Brian not only enjoys writing code, but also works hard to ensure customer product and engineering teams successfully adopt and deploy the technology. Prior to Moddable, Brian led a software team at Amazon responsible for integrating the Alexa Voice Service into a variety of embedded automotive platforms. As a Principal Engineer at Apple, he was a member of the small engineering team that brought QuickTime to Windows. At Marvell Semiconductor, Brian leveraged his broad skillset to help build the Kinoma developer program, contributing tech notes, sample code and serving as the engineering liaison between the Kinoma team and external professional developers. Brian is also a founding member of Kinoma, where he built and delivered embedded, digital media and mobile applications.